Allrighty then! 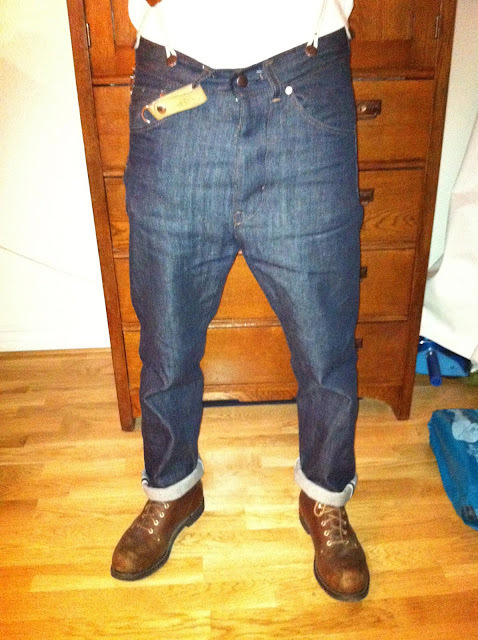 The second pair of jeans are now done! 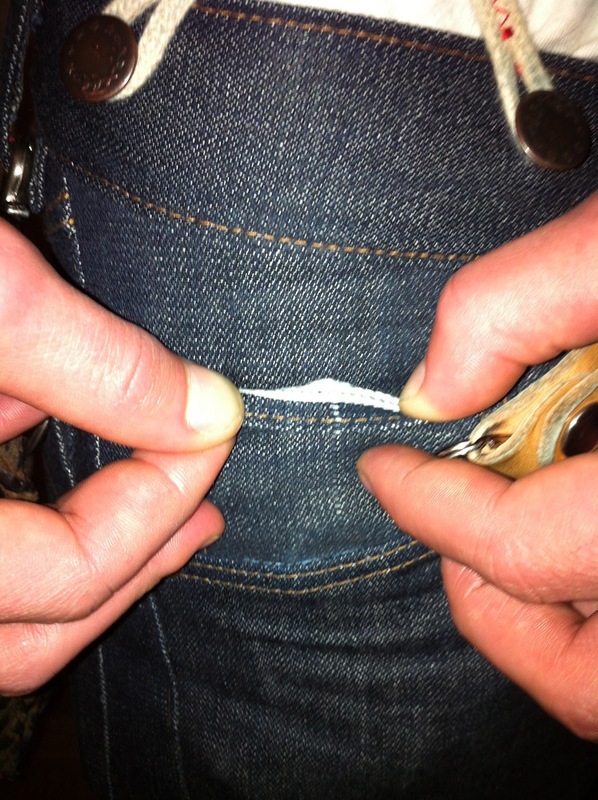 Unfortunate my phone was stolen yesterday, so all the pics is gone, but I have a few of the process that a friend of mine had taken on his phone. Now back to the jeans. I'm making this par with some inspiration from the 20-30's. 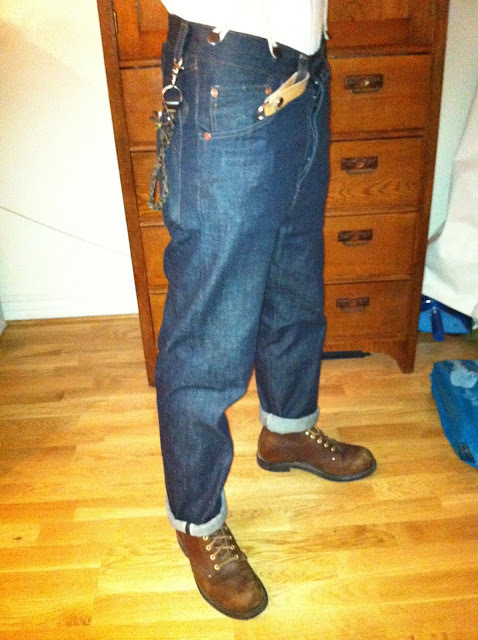 Back then jeans where used as working pants and had to be relaxed and durable, reinforced in the pockets for the working tools and other types of strains. 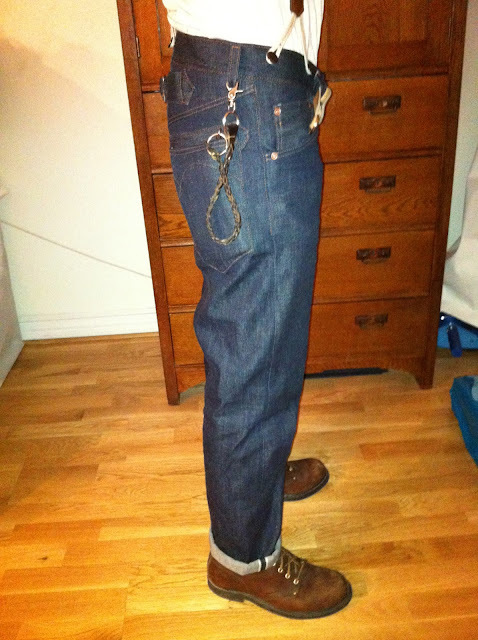 Here I'm overlocking the leg, but of course only on the inner leg, because on the other side is the selvedge. 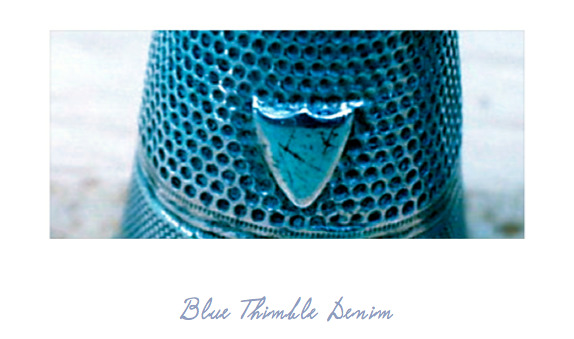 I decided to do a arcuate of the letter B, for Blue Thimble off course, but lying down and without it's "back". 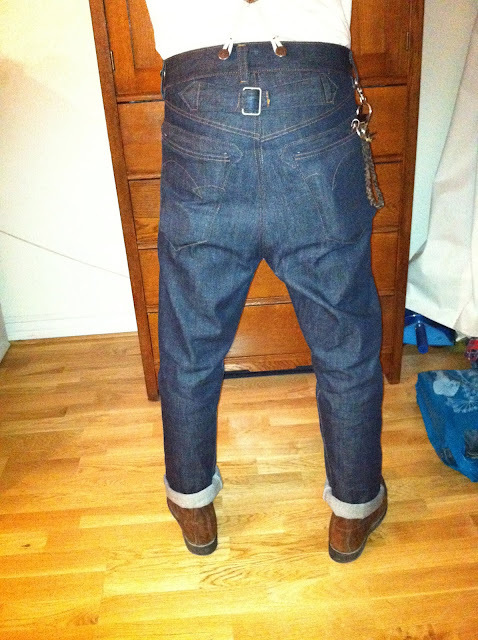 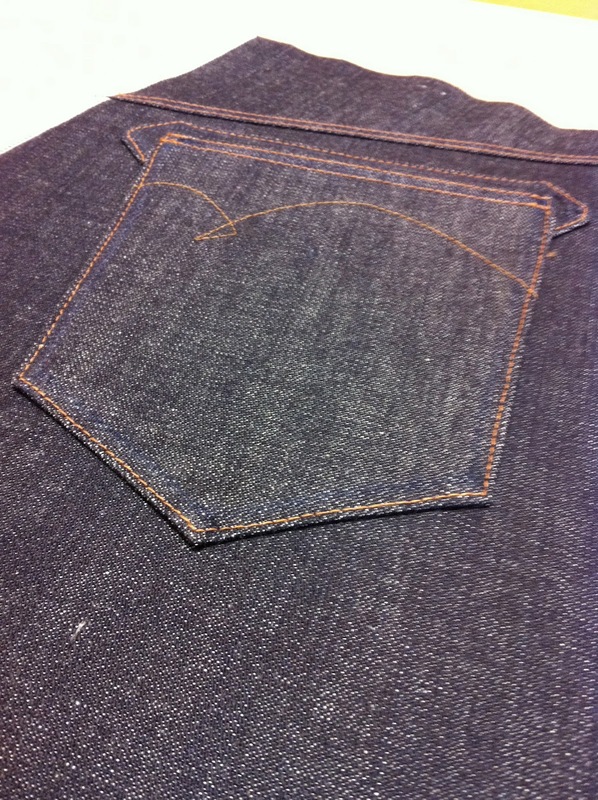 I free handed the arcuate so they aren't exactly the same on both pockets. 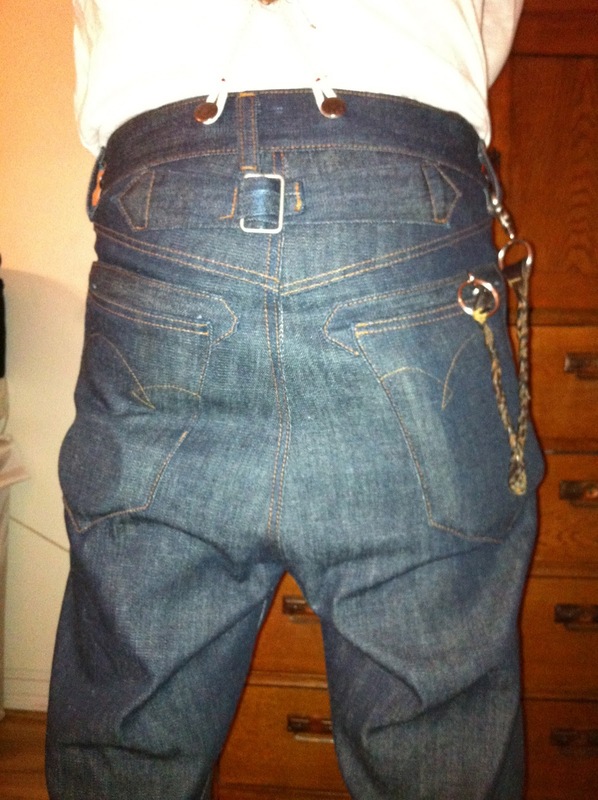 Which I only think is charming. I also used the fabric that I've wowed my self as reinforcement fore the pockets. 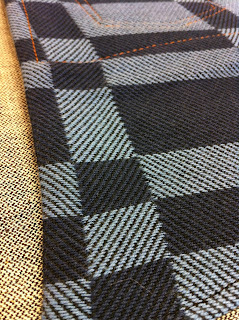 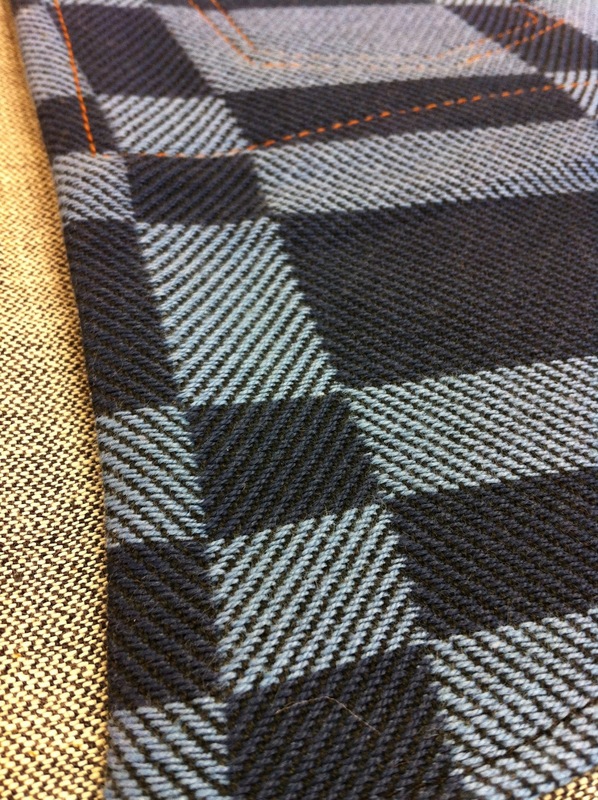 Here is also a reinforcement detail for the back pocket. 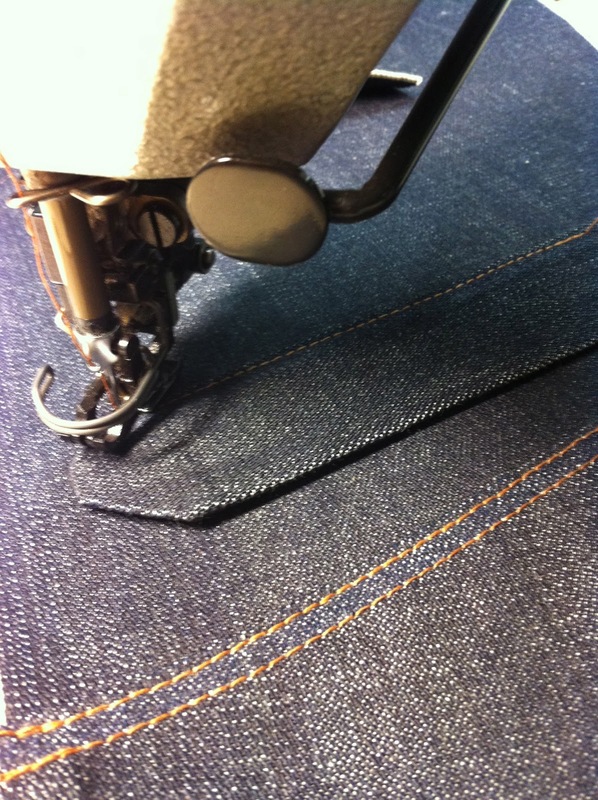 Because of the heavy tools ore rocks, if you were a gold digger, the jeans would burst around the rivet area so therefore I reinforced that area. 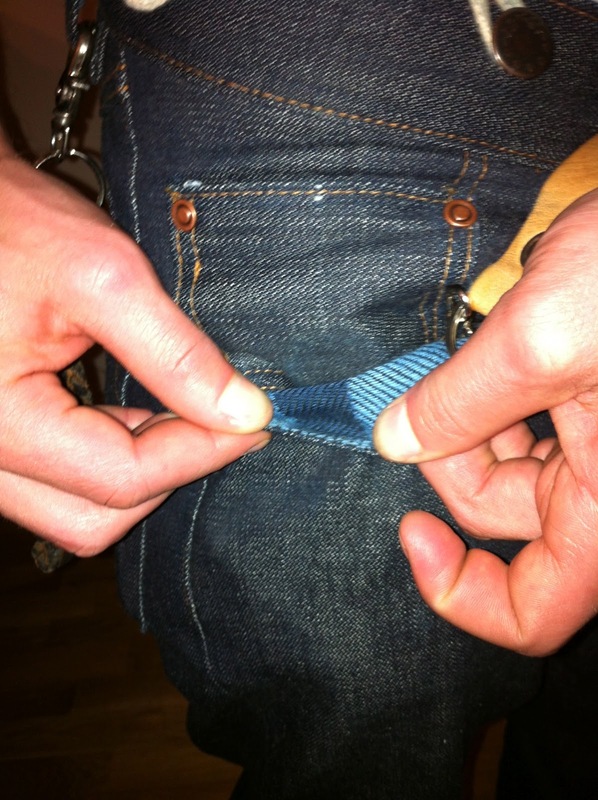 I only used a single stitch when fastened the pockets. Back in the beginning of the twentieth century the material was expensive and also they mostly had single needle machines like I do. 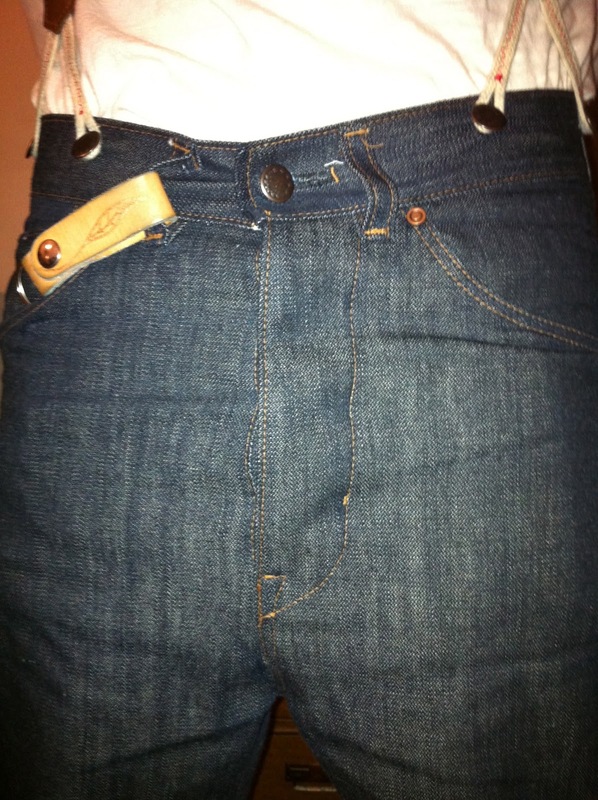 But the reason for me is that I think it looks nice. 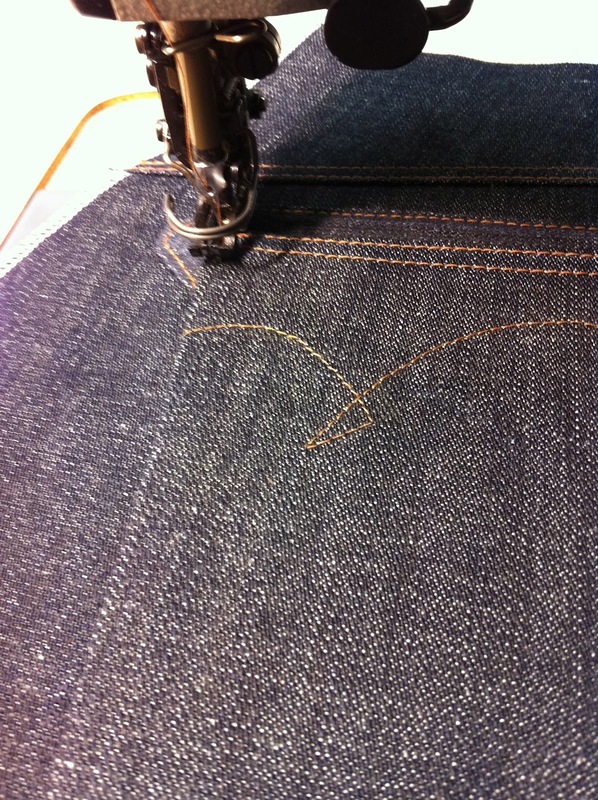 Here I'm doing the finishing of the front pocket liner. 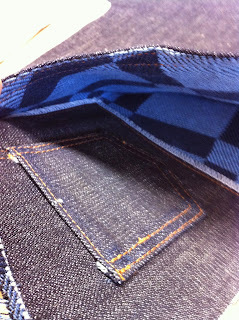 The watch pocket whit a selvedge popup. 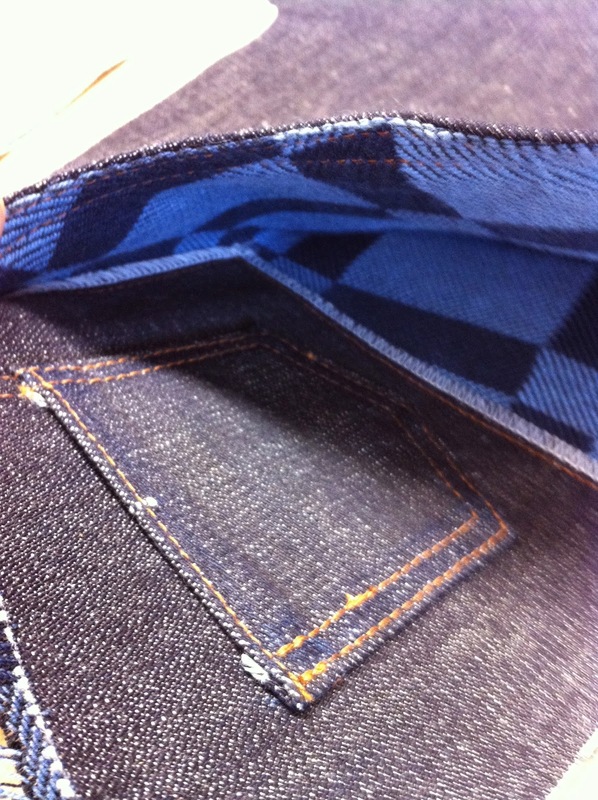 And also a small but o so pretty detail is the seams that goes from the watch pocket and up to the raw edge where the waistband will be. And the reason for that is that back in the days many sewing machines didn't have the reverse function so that they couldn't lock the seam. 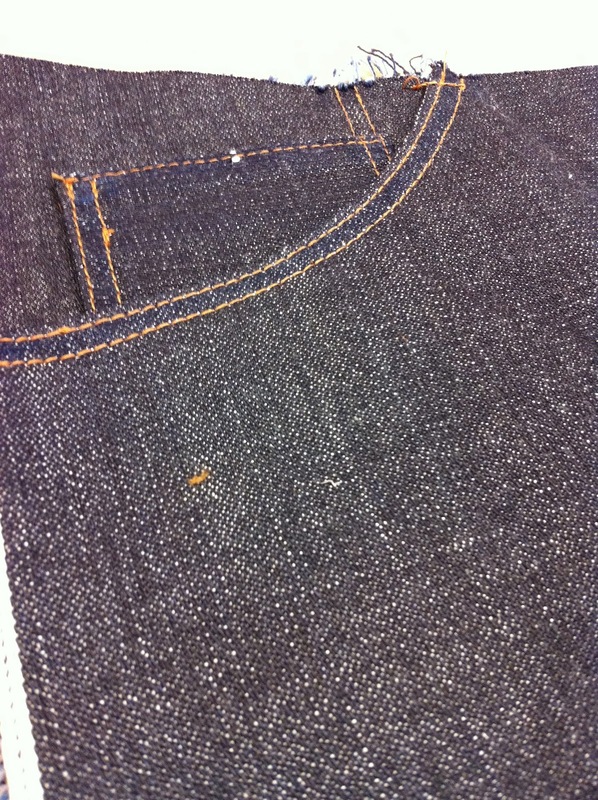 So when they later on attached the waistband it would lock the seam. 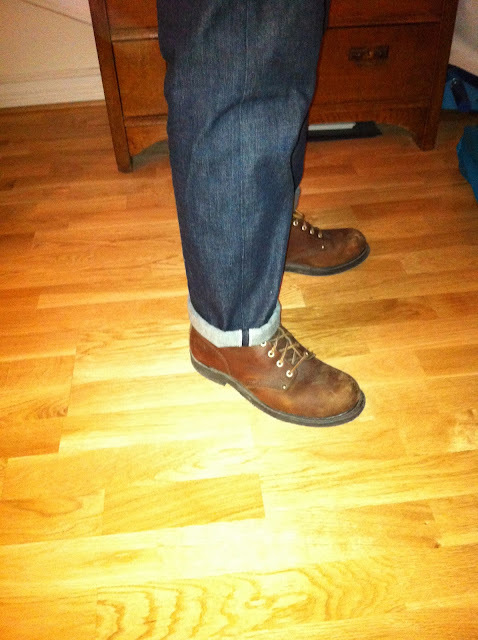 Here I have worn them fore two day's and they are starting to get really comfortable. 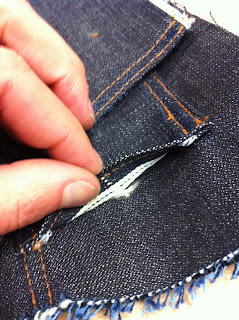 The back pocket are attached close to the side seam, and that was so that you would be closer to you're working tools. As you might notice I haven't got any rivets on the back pocket yet, that's because I run out of rivet's. But I will attach them later and also there will be rivets on the cinch and in the end of the front rise. In the 30's belt loops started to appear on the jeans but many people still wore suspenders, so therefore I have them booth on and also the cinch. 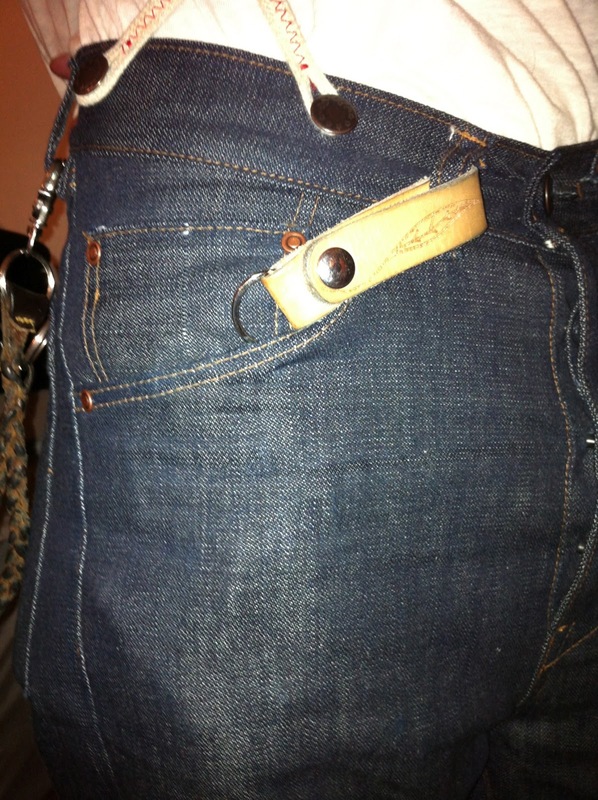 And one more detail here is the center back belt loop, it's not attached in the middle and that's because the fabric is to thick on the back rise so the sewing machines that where used back then weren't always abel to go throw that many layer of fabric. 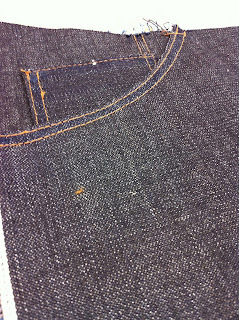 If you look closer to the watch pocket you may see a small rip in the fabric, which i think is quite sharming.